Rio Grande Valley Vipers forward Danuel House (4) advances the ball in a NBA G-League home opener against the Memphis Hustle at Bert Ogden Arena on Saturday, Nov. 3, 2018, in Edinburg. 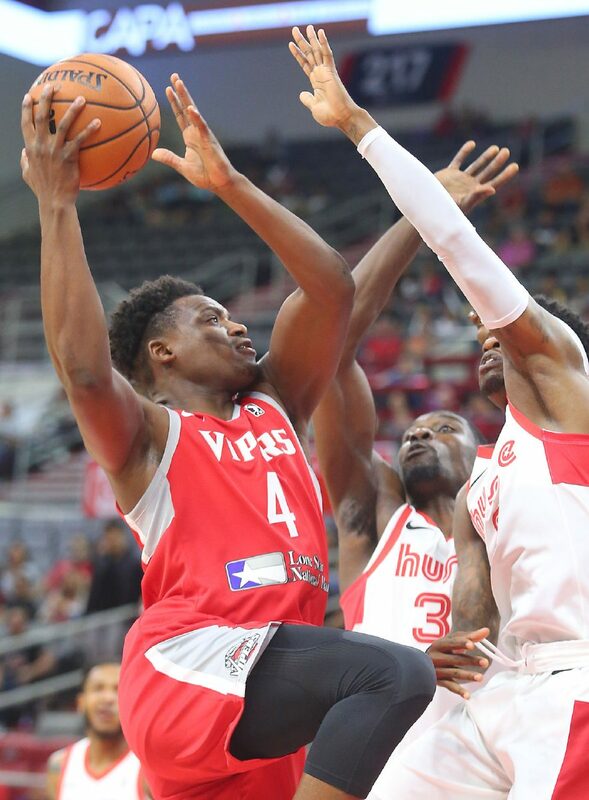 EDINBURG — The RGV Vipers got going early, and never looked back, christening Bert Ogden Arena with an opening night win. 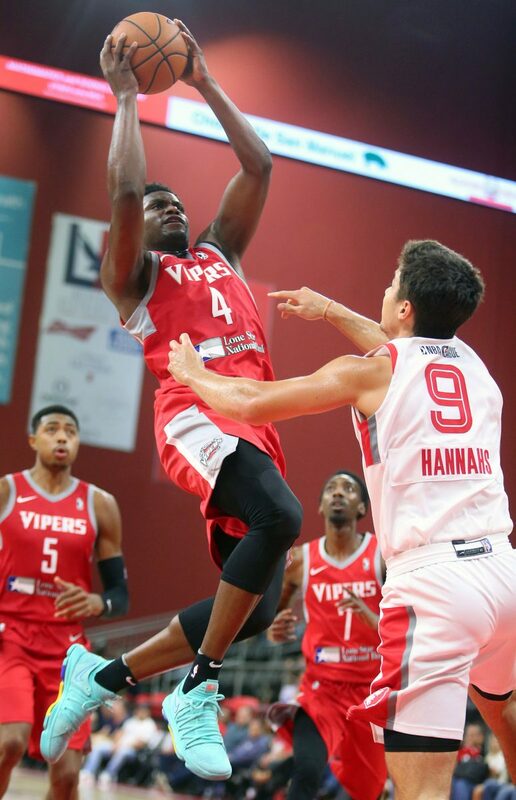 The Vipers (1-0) won 119-103 over the Memphis Hustle (0-1) in the Vipers’ home opener Saturday at Bert Ogden Arena. The Vipers led wire to wire. They were up by 18 at the half, and led by more than 20 for the majority of the fourth quarter. 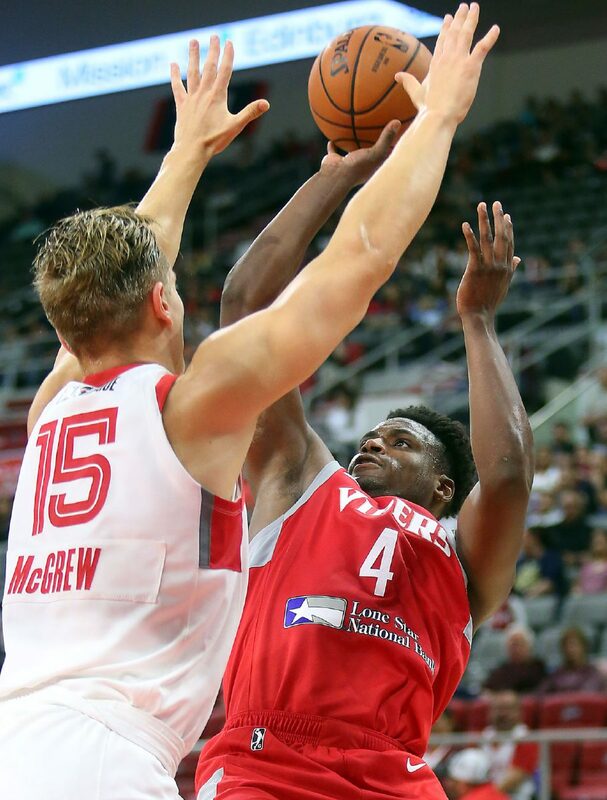 Rio Grande Valley Vipers forward Danuel House (4) drives to the basket against the Memphis Hustle in a NBA G-League home opener at Bert Ogden Arena on Saturday, Nov. 3, 2018, in Edinburg. 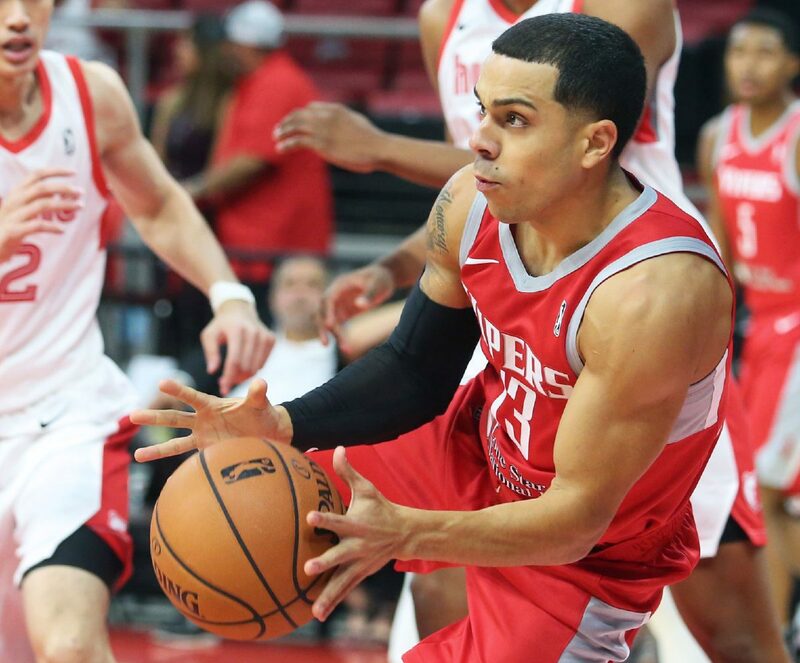 Rio Grande Valley Vipers guard Angel Rodriguez (13) drives to the basket in a NBA G-League against the Memphis Hustle during a home opener at Bert Ogden Arena on Saturday, Nov. 3, 2018, in Edinburg. Rio Grande Valley Vipers forward Danuel House (4) attempts a basket defended by Memphis Hustle forward Tanner McGraw (15) during a NBA G-League home opener at Bert Ogden Arena on Saturday, Nov. 3, 2018, in Edinburg. 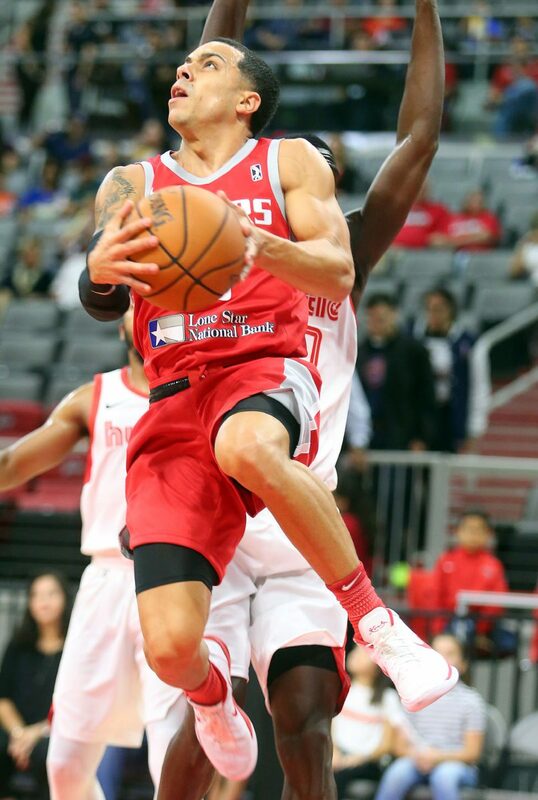 Rio Grande Valley Vipers center Zhou Qi (9) passes the ball in a NBA G-League during a home opener against the Memphis Hustle at Bert Ogden Arena on Saturday, Nov. 3, 2018, in Edinburg. 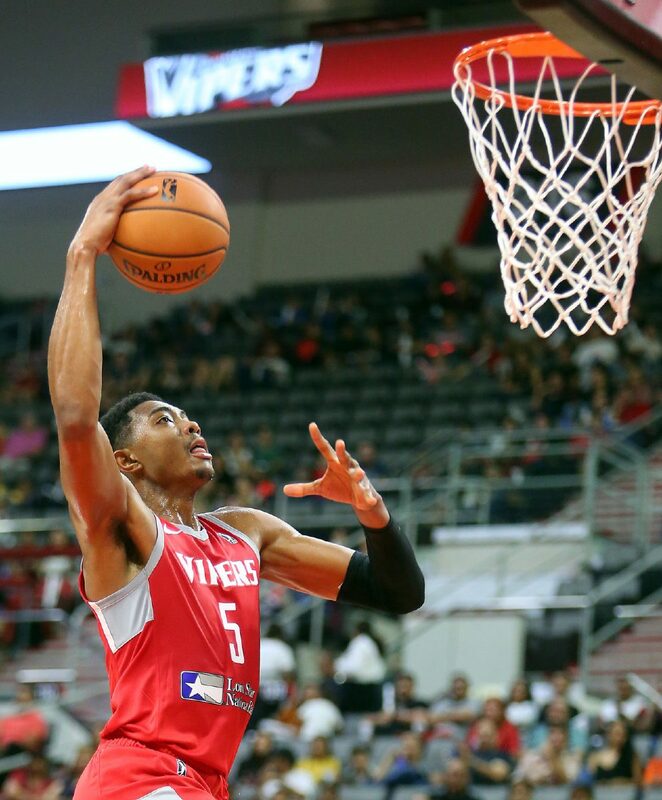 Rio Grande Valley Vipers Bruno Caboclo (5) prepares to slam dunk the ball during a NBA G-League home opener against the Memphis Hustle at Bert Ogden Arena on Saturday, Nov. 3, 2018, in Edinburg. 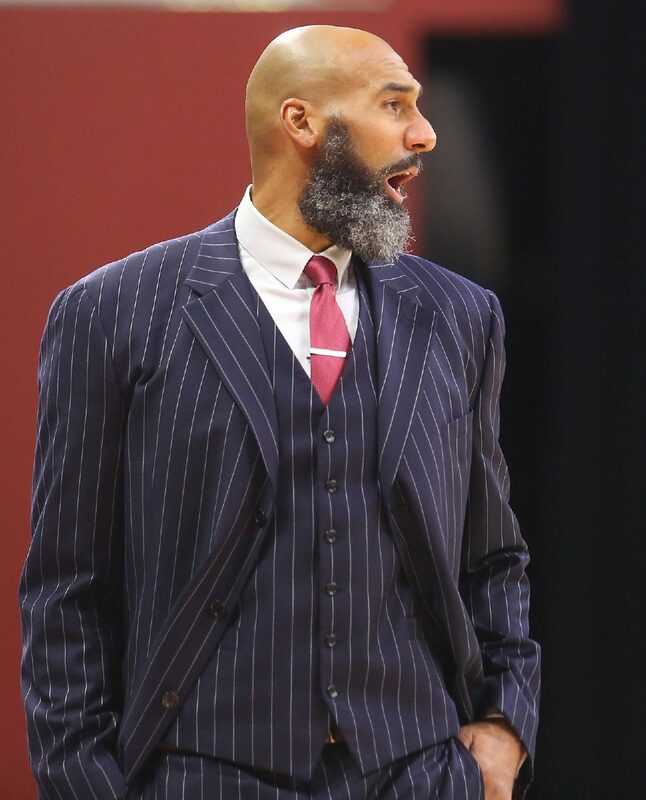 Rio Grande Valley Vipers head coach Joseph Blair gives instruction during a NBA a G-League home opener against the Memphis Hustle at Bert Ogden Arena on Saturday, Nov. 3, 2018, in Edinburg. Rio Grande Valley Vipers forward Danuel House (4) jumps high while driving to the basket against Memphis Hustle Guard Dusty Hannahs (9) during a G-League home opener at Bert Ogden Arena on Saturday, Nov. 3, 2018, in Edinburg. Rio Grande Valley Vipers guard Angel Rodriguez (13) attempts to gain control of a lose ball under the net during a NBA G-League home opener against the Memphis Hustle at Bert Ogden Arena on Saturday, Nov. 3, 2018, in Edinburg. 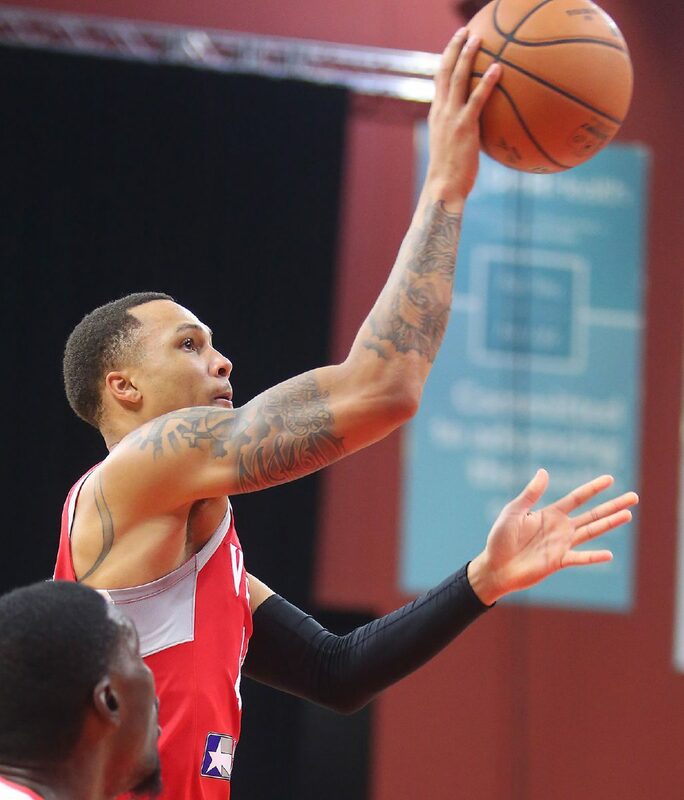 Rio Grande Valley Vipers guard Brandon Sampson (44) advances the ball against the Memphis Hustle during a NBA G-League home opener at Bert Ogden Arena on Saturday, Nov. 3, 2018, in Edinburg. 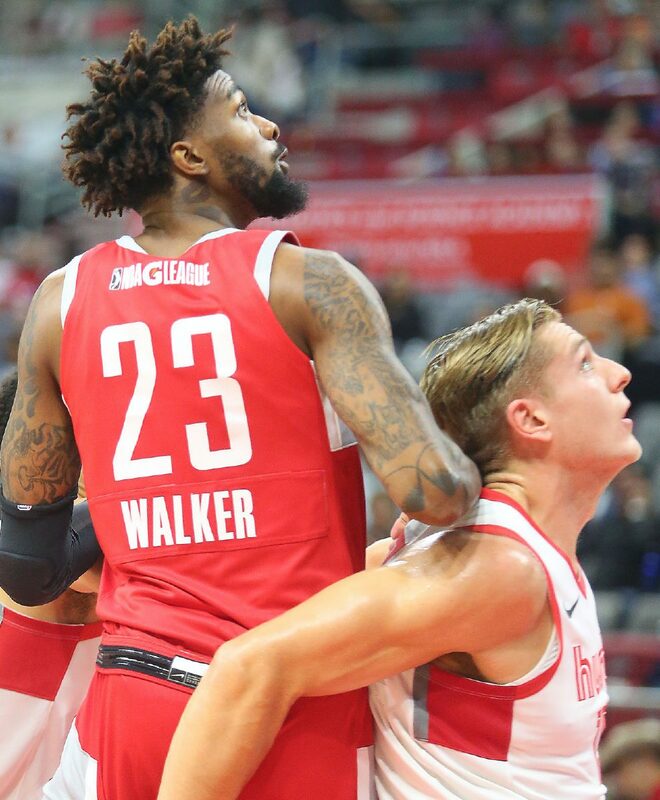 Rio Grande Valley Vipers guard Chris Walker (23) and Memphis Hustle forward Tanner McGrew (15) battle for position under the net during a basket in a NBA G-League home opener at Bert Ogden Arena on Saturday, Nov. 3, 2018, in Edinburg. 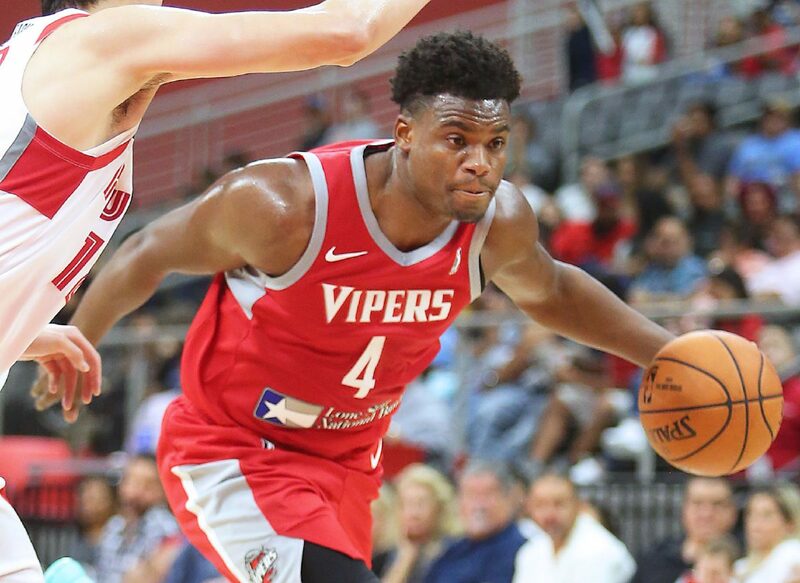 Danuel House and Sampson each scored more than 20 points to lead the way for the Vipers. Sampson was scorching hot to start the game. He hit three straight 3-pointers to push the Vipers lead to 9 early in the first quarter. House found his rhythm at the end of the second quarter to push the Vipers lead to 20. Sampson finished with 27 on 5-of-10 from three. House finished with 20. 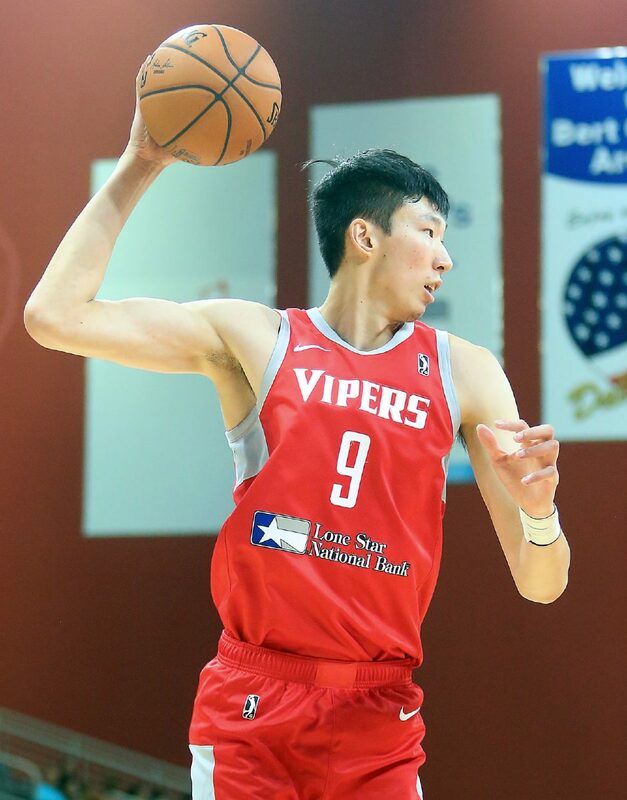 The Houston Rockets assigned Zhou Qi to the Vipers on Thursday, meaning he didn’t get a single contact practice in with the Vipers, but it was no matter as he got going early. “The good thing is up in Houston they have a great player development staff up there. 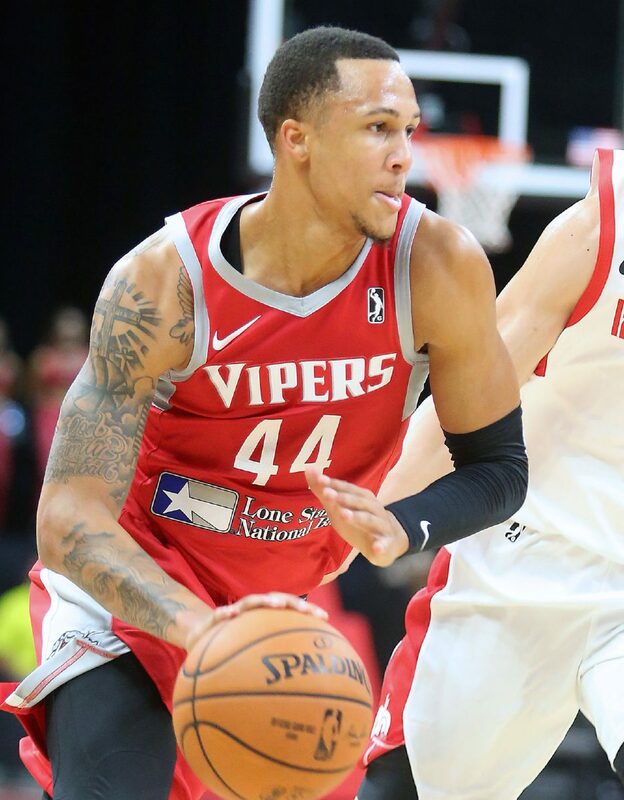 They do a great job of keeping him ready,” Blair said, adding that because Qi was with the Vipers last year, the familiarity make it an easier transition for him. Qi had a double-double with 12 points and a G-League career high 14 rebounds. House is a tremendous finisher, which opens things up for shooters around him. The same can be said for Angel Rodriguez. Rodriguez was eager to get going after a quiet exhibition performance, but a hot start was not to be. Rodriguez committed two fouls and two turnovers, and was yanked from the game after less than five minutes. Rodriguez finally got going in the second half. On the second basket of the second half, Rodriguez hit a bomb from deep, and the relief and joy powered a strong showing. Rodriguez scored 16 points on 3-of-4 from 3-point range and added three assists. The 5-foot-11 guard added one steal and two rebounds in almost 24 minutes. Sampson was pleased to receive a pass or two from Rodriguez, and he is excited about the potential of their pairing. Rodriguez loves the style of play, and he knows it’s only a matter of time before they all get clicking. Things looked pretty natural on Saturday.